Bible Verses about strength must start and end with God. It is the power and strength that comes from God that carries us on. As Christians we need to surrender to the strength that God provides and His strength is made perfect in our weakness. As you read these scriptures about strength be encouraged in that it is not your strength that is needed but the strength that God willingly supplies. Isaiah 40:28-31 ~ Do you not know? Have you not heard? The Lord is the everlasting God, the Creator of the ends of the earth He will not grow tired or weary, and his understanding no one can fathom. He gives strength to the weary and increases the power of the weak. Even youths grow tired and weary and young men stumble and fall; but those who hope in the Lord will renew their strength. They will soar on wings like eagles; they will run and not grow weary, they will walk and not be faint. Isaiah 41:10 ~ Fear not, for I am with you; be not dismayed, for I am your God; I will strengthen you, I will help you, I will uphold you with my righteous right hand. Philippians 4:13 ~ I can do all things through him who strengthens me. Exodus 15:2 ~ The LORD is my strength and my song, and he has become my salvation; this is my God, and I will praise him, my father’s God, and I will exalt him. 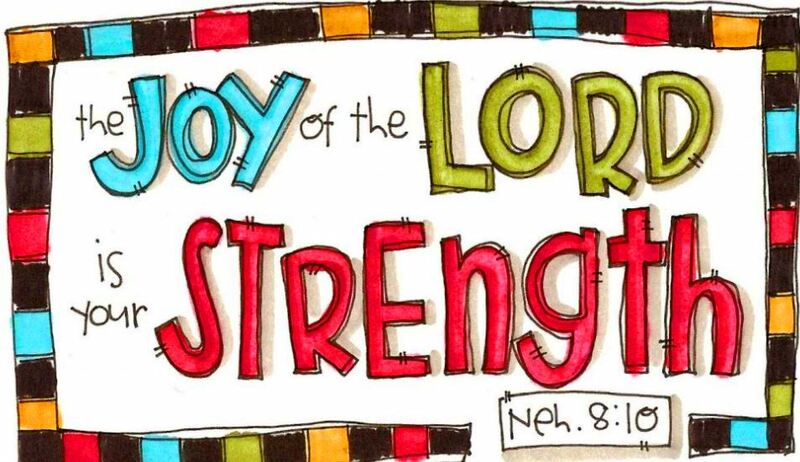 Ephesians 6:10 ~ Finally, be strong in the Lord, and in the strength of his might. What are your favorite strength verses?